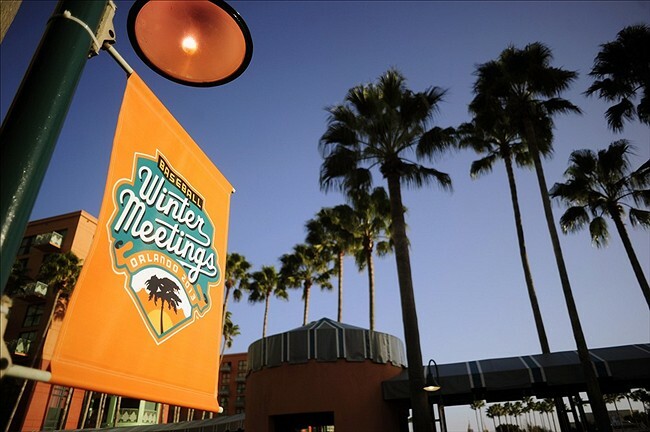 The Winter Meetings are well underway and it's off to a hot start for many major league teams. This article will be updated as more information becomes available. The following is what is out as of right now that I know of. I am told there is nothing to rumors that would have #Brewers sending Aramis Ramirez or Rickie Weeks to Marlins for Logan Morrison. Nothing. - Tom Haudricourt states in his following tweets that the "Brewers would not trade for a first baseman unless they get a definite no from Corey Hart. And they are hoping for answer very soon." Tom next tweet was rather confusing to tell what he meant to say, but believes the "Brewers have told Corey Hart what they'd be willing to do. A matter of accepting it or not. If not, trade for 1B." In addition, Tom states that "Weeks is recovering from major injury, has $11 M contract and has been in two-year offensive decline. Not a very marketable trade candidate." #Brewers are hoping for an answer from Corey Hart before the end of Winter Meetings, Melvin says. Decision will dictate club's next step. Adam's tweet pretty much echos Haudrcourt's, but that's the latest on Corey Hart. - Report: Corey Hart and the Milwaukee Brewers are actively moving towards a contract agreement and have been all day. It is expected to be completed before the Winter Meetings are over. Full report on said activities were reported by the Brewer Nation Blog. The Brewers, as mentioned above, will not pursue a trade until the hear from Corey Hart on the offer they submitted to him. I can't imagine the Brewers will wait an extended amount of time on Hart. I would expect an announcement within the next 24 hours. Personally, if Rickie wants to impress, he may want to think about trying third base out. That would be a tough transition for him because of his arm strength. But, he really has no other choice. Don't be surprised if free agent 1B Corey Hart makes his decision tonight. #Brewers still in play. Corey Hart could make his decision as early as tonight, tweets Adam McCalvy. The Brewers were reported earlier to have been working with Hart all day on a deal. Hopefully it pays off. If #Brewers find out they're not signing Hart, sound positioned to move quickly on Ike Davis. Have done extensive background work on him. Source: Mets asked Brewers for young, controllable pitching for Ike - Thornburg among others. MIL said no and were told they're out. Good to hear. I did not want Ike Davis. Lots of people did not want Ike Davis. I'm so happy to know Melvin isn't willing to trade a young pitcher like Tyler Thornburg for a crap shoot in Davis. Now signing Corey Hart is even more important. I was told yesterday that #Brewers were out on Logan Morrison. Now speculation is that they will try again if Corey Hart says no. Now it appears Morrison/Marlins trade might end up being the backup plan if Hart says no, according to Tom Haudricourt. #Mariners are in on Corey Hart. gm jack zduriencik drafted him for milw. would bat behind cano. #brewers also in. corey hart is headed for #mariners, according to sources. 1 year deal. will likely bat behind cano. - Jon Heyman of CBS Sports reports that Corey Hart is heading to the Mariners on a one year deal. Adam McCalvy also confirmed Hart is going to Seattle. From what it sounds like, Seattle offered him a deal he simply could not turn down. Should be interesting to see the exact details of it. Seattle's deal is worth $6MM guaranteed with $7MM earning incentives, totaling $13MM. - Buster Olney of ESPN tweets that the Brewers have been talking to James Loney. He implies that he could be the next target for the Brewers if the team chooses not to trade for Davis, Morrison, etc. One unrelated detail: With an opening on 40-man roster, Melvin said #Brewers might make Rule 5 pick on Thursday. - Doug Melvin hints he may have his eye on someone in the Rule 5 Draft, since the team's 40 man roster sits at 39. Let the speculation begin.